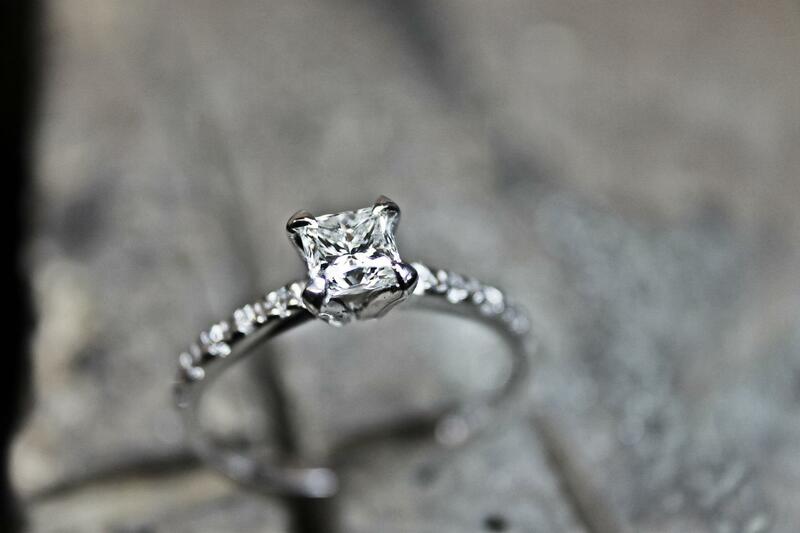 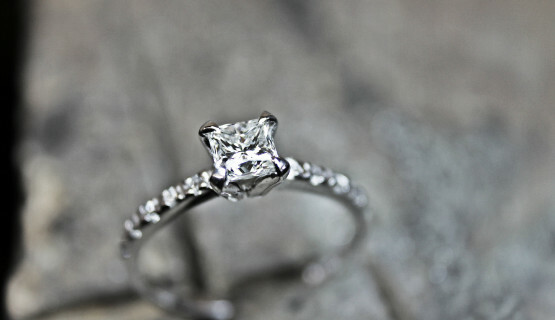 An eye catching princess cut diamond is set in a four-corner claw 18ct white gold ring. 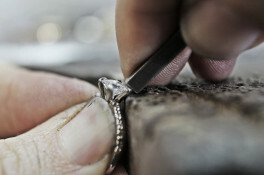 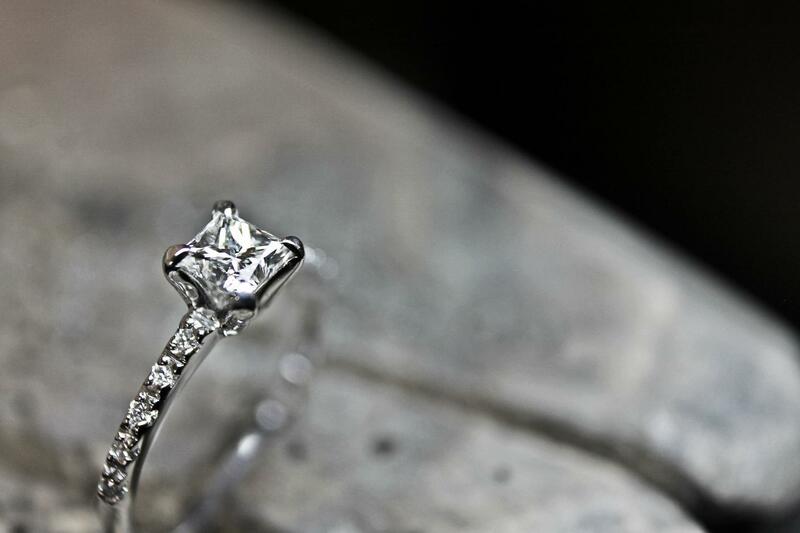 The main setting tapers to the base allowing a wedding ring to seamlessly fit together as pictured. 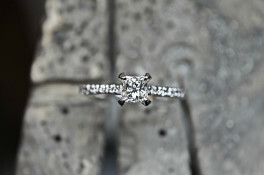 Diamonds added to the shoulders in this particular design in a micro set style.